Westminster John Knox Press, 9780664259662, 570pp. 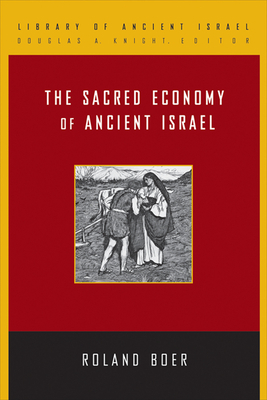 The Sacred Economy of Ancient Israel offers a new reconstruction of the economic context of the Bible and of ancient Israel. It argues that the key to ancient economies is with those who worked on the land rather than in intermittent and relatively weak kingdoms and empires. Drawing on sophisticated economic theory (especially the R gulation School) and textual and archaeological resources, Roland Boer makes it clear that economic "crisis" was the norm and that economics is always socially determined. He examines three economic layers: the building blocks (five institutional forms), periods of relative stability (three regimes), and the overarching mode of production. Ultimately, the most resilient of all the regimes was subsistence survival, for which the regular collapse of kingdoms and empires was a blessing rather than a curse. Students will come away with a clear understanding of the dynamics of the economy of ancient Israel. Boer's volume should become a new benchmark for future studies.